planetf1.com • View topic - Norbert Haug stepping down as head of MB Motorsports..
Norbert Haug stepping down as head of MB Motorsports..
Post subject: Norbert Haug stepping down as head of MB Motorsports.. Interesting... Niki Lauda to have more power? Interesting, I assumed he would have been one of those in Hamilton's camp and would therefore be staying on for at least the initial period of Lewis's time at Mercedes. Last edited by Alienturnedhuman on Thu Dec 13, 2012 3:10 pm, edited 1 time in total. 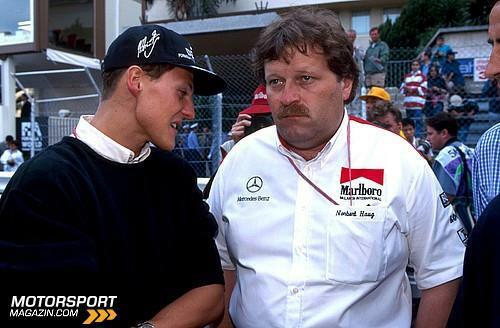 Post subject: Re: Norbert Haug stepping down as head of MB Motorsports..
Awww I like Norb, thought he'd be around for Lewis' start at least, as Alienturnedhuman said. aww gonna miss him, but he really wasn't the same since Mikka left. Interested to see what Lauda can do. 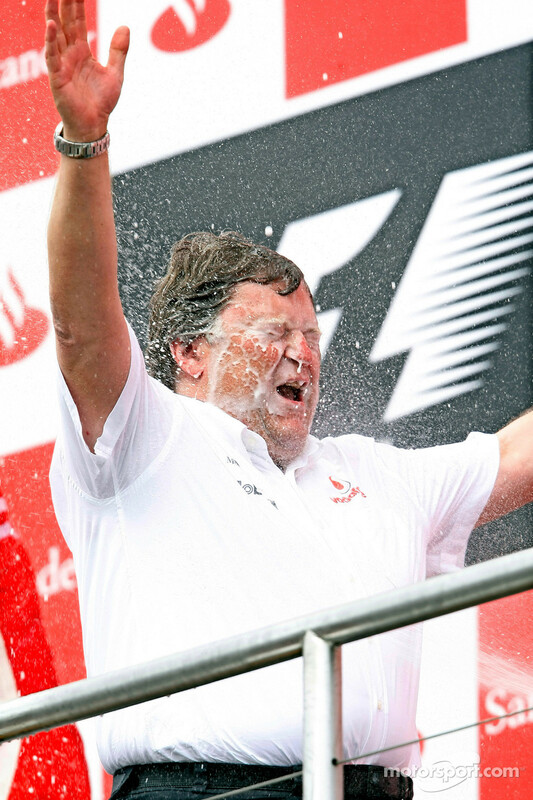 Haug was heading for retirement soon anyway regardless of Lauda's appointment IMO. However I don't think Lauda will do much. He was hopeless in his years with Jaguar. He'll be gone within two years. I'd be more comfortable with Haug than Lauda any day. Things look worse for Lewis every announcement. All he needs is a backtrack on engine regs to hit rock bottom. could this be a role filled by michael schumacher? To be fair if Merc do keep failing to deliver then the blame can't be placed at Lauda's feet since the failure dates back to 2010. The blame will fall onto Brawn. If the do have a poor 2013 then I really don't know how much longer Brawn can avoid being axed. He may be a brilliant tactitan but he's not been a brilliant Team Principle thus far. No way. Schumacher has no experiance in leading an entire motorsports division. He'll be in a consulting role only most likely. Surprised he's leaving now. I wonder if Lewis was made aware of that before signing a contract. It shouldn't have too much impact, but is interesting nonetheless. I wonder who will replace him. I don't think it was Haugs voluntary decission to leave & I don't think Lewis did know about it. What was possibly worse than their bad F1 season, was that they lost the DTM title at the last races. For the car market DTM is more important than F1. The 3 German top car teams compete there. BMW overhauld them in the general sales, too this year. Not a good PR for Merc to lose at DTM. Last edited by Haribo on Thu Dec 13, 2012 2:29 pm, edited 1 time in total. One of the most down-to-earth, honest and sympathetic person in the padock. What a pity! Goodbye and happy retirement years! Thanks for the memories! BTW, I am so glad that my 1000th post was in honor of such a down-to-earth and honest figure! Norbert is the man. His "interview" in the Merc garage after Rosberg's win on sky was so good. One of those instances where the hands type without the brain. Both Norbert and Norman are stepping down? This is a big bummer for me I know a head had to roll after this year, but his doesn't make much sense. I hope he ends up with a rival organization. Not sure whats worse. His moustache or Michaels hat! Wow, Michael was a hipster before it was cool. There is nothing wrong with Michael's hat. That's a Tirol hat, with long tradition in Austria. Nobody laughs at that in this part of the world. I think this was not planned. And I think due to the relationship Merc had with Mclaren this is going to have an impact on Lewis. This is big. It is big. Haug had to depart because the Mercedes board of directors expected more from the team and changes had to be made. In the last three years McLaren have had 18 wins to Mercedes' one. Lauda was hired before the decision to terminate Haug was made, so he's not his direct replacement. What does all this imply and the consequences? The Mercedes brass are darn serious about getting wins and results, so much that they shook up their racing operation. They are not going to sit still, and that means the team is going to get even more support from the parent company. Although Hamilton may not take any pleasure from the misfortune of another, what happened is a very good thing for him, because he's now got the entire Mercedes organization right tiddled off that they aren't winning, and intend to make that happen. If there was ever a sign that Mercedes are going to throw a lot more support and money into the team, this is it. Merc have already stated they are not upping the budget. So I can't see how this is a sign they are going to start throwing money at the team. Edit if anything it's a sign they are running out of patience. To me that suggests they might run out altogether and pull the plug ala Toyota. It means they are serious about achieving motorsport success. Just been wondering about Haug and his potential future. It appears to me that Norbert took the bullet or the team's failings but is not necessarily finished with motorsport. If Haug were to stay in a motorsport role, where would people expect him to go? Ironically Merc have traditionally taken the other teams' rejects! Become a consultant with a Merc-supplied team i.e. McLaren? Back to a familiar setting and he knows the team inside out. Would he, dare I say it, stick on a red jacket? Their last two seasons are Ross' fault anyway, not Haug's. edit: If I were him, I'd stroll over to Porsche and sign up to run their new LMP1 team, which is already full of ex-F1 people, and if this year's Toyota is any indication, those people will be bringing a lot of F1 design and theory to their car.